Equilibrium itself has rarely been observed in real life — market prices have a notorious habit of fluctuating. 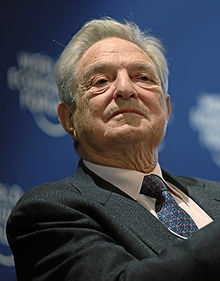 George Soros (born György Schwartz on 12 August 1930) is a Hungarian-born American businessman, philanthropist, and political activist. He is currently the chairman of Soros Fund Management and the Open Society Foundations. Crime requires police work, not military action. Our success depends greatly on our dominant position at the center of the global capitalist system, and we are not willing to yield it. Economic theory is devoted to the study of equilibrium positions. The concept of equilibrium is very useful. It allows us to focus on the final outcome rather than the process that leads up to it. But the concept is also very deceptive. It has the aura of something empirical: since the adjustment process is supposed to lead to an equilibrium, an equilibrium position seems somehow implicit in our observations. That is not true. Equilibrium itself has rarely been observed in real life — market prices have a notorious habit of fluctuating. The bureaucratic method of building an integrated Europe has exhausted its potential. How can we escape from the trap that the terrorists have set us? Only by recognizing that the war on terrorism cannot be won by waging war. We must, of course, protect our security; but we must also correct the grievances on which terrorism feeds. Crime requires police work, not military action. The supremacist ideology of the Bush Administration stands in opposition to the principles of an open society, which recognize that people have different views and that nobody is in possession of the ultimate truth. The supremacist ideology postulates that just because we are stronger than others, we know better and have right on our side. 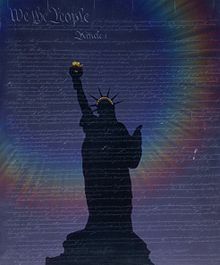 The very first sentence of the September 2002 National Security Strategy (the President's annual laying out to Congress of the country's security objectives) reads, "The great struggles of the twentieth century between liberty and totalitarianism ended with a decisive victory for the forces of freedom and a single sustainable model for national success: freedom, democracy, and free enterprise." The main difference between me and other people who have amassed this kind of money is that I am primarily interested in ideas, and I don't have much personal use for money. Americans, sadly, are now victims who have turned into perpetrators. Indeed, since September 2001, the war on terror has claimed more innocent victims than those terrorist attacks. This fact is unrecognized at home because the victims of the war on terror are not Americans. But the rest of the world does not draw the same distinction, and world opinion has turned against America. If investing is entertaining, if you're having fun, you're probably not making any money. Good investing is boring. The main difference between me and other people who have amassed this kind of money is that I am primarily interested in ideas, and I don't have much personal use for money. But I hate to think what would have happened if I hadn't made money: My ideas would not have gotten much play. So the euro is here to stay, and the arrangements that evolved in response to the crisis have become established as the new order governing the eurozone. This confirms my worst fears. It’s the nightmare I’ve been talking about. I’m hopeful that the Russian invasion of Crimea may serve as a wake-up call. Germany is the only country in a position to change the prevailing order. Companies earn their profits by exploiting their environment. Mining and oil companies exploit the physical environment; social media companies exploit the social environment. This is particularly nefarious because social media companies influence how people think and behave without them even being aware of it. The truth is, successful investing is a kind of alchemy. Most of the time we are punished if we go against the trend. Only at an inflection point are we rewarded. My peculiarity is that I don't have a particular style of investing or, more exactly, I try to change my style to fit the conditions. The prevailing wisdom is that markets are always right. I take the opposition position. I assume that markets are always wrong. Even if my assumption is occasionally wrong, I use it as a working hypothesis. It does not follow that one should always go against the prevailing trend. On the contrary, most of the time the trend prevails; only occasionally are the errors corrected. It is only on those occasions that one should go against the trend. This line of reasoning leads me to look for the flaw in every investment thesis. ... I am ahead of the curve. I watch out for telltale signs that a trend may be exhausted. Then I disengage from the herd and look for a different investment thesis. Or, if I think the trend has been carried to excess, I may probe going against it. Most of the time we are punished if we go against the trend. Only at an inflection point are we rewarded. A global society does not mean a global state. To abolish the existence of states is neither feasible nor desirable; but insofar as there are collective interests that transcend state boundaries, the sovereignty of states must be subordinated to international law and international institutions. The development of a global economy has not been matched by the development of a global society. The basic unit for political and social life remains the nation-state. International law and international institutions, insofar as they exist, are not strong enough to prevent war or the large-scale abuse of human rights in individual countries. Ecological threats are not adequately dealt with. Global financial markets are largely beyond the control of national or international authorities. Financial markets are supposed to swing like a pendulum: They may fluctuate wildly in response to exogenous shocks, but eventually they are supposed to come to rest at an equilibrium point and that point is supposed to be the same irrespective of the interim fluctuations. Instead, as I told Congress, financial markets behaved more like a wrecking ball, swinging from country to country and knocking over the weaker ones. It is difficult to escape the conclusion that the international financial system itself constituted the main ingredient in the meltdown process. The global crisis is caused by pathologies inherent in the global financial system itself. It is time to recognize that financial markets are inherently unstable. Imposing market discipline means imposing instability, and how much instability can society take? ... To put it bluntly, the choice confronting us is whether we will regulate global financial markets internationally or leave it to each individual state to protect its interests as best it can. The latter course will surely lead to the breakdown of the gigantic circulatory system, which goes under the name of global capitalism. Markets don't look after social needs. Markets are designed to allow individuals to look after their private needs and to pursue profit. It's really a great invention and I wouldn't under-estimate the value of that, but they're not designed to take care of social needs. As long as people genuinely care for the people they're trying to help, they can actually do a lot of good. I think there's a lot of merit in an international economy and global markets, but they're not sufficient because markets don't look after social needs. Markets are designed to allow individuals to look after their private needs and to pursue profit. It's really a great invention and I wouldn't under-estimate the value of that, but they're not designed to take care of social needs. Each state is guided by its interests, not by some nebulous concept of common interest. And not many states are even democratic. So, you have a problem with the concept between international institutions and sovereignty. To my mind, there is a solution which has to do with democracy, because democratic governments are subject to the will of the people. So, if the people will it, you can actually create international institutions through the democratic states. I advocate an alliance of democratic states, with a dual purpose. One, to promote what I call open society. I talk about an alliance of open societies which would first foster the development of open societies within individual countries, because there's a lot that needs to be done in that effort. And secondly, to establish basic international law and international institutions that you need for a global, open society. So that's my sort of broad concept. Now, I have not worked out the details, because I don't think it's for me to work out the details. It's for them to work out the details. I used to be opposed to the idea of social entrepreneurship. I said, you know, let business be business, and philanthropy be philanthropy. Keep the two separate, don't mix it up, and this is what I did, and I did that rather successfully, but I now recognize that actually you do need to mix it up and I think there is room for social entrepreneurship. It's more difficult, you know, to bring about positive change than it is to make money. It's much easier to make money, because it's a much easier way to measure success — the bottom line. When it comes to social consequences, they've got all different people acting in different ways, very difficult to even have a proper criterion of success. So, it's a difficult task. Why not use an entrepreneurial, rather than a bureaucratic, approach. As long as people genuinely care for the people they're trying to help, they can actually do a lot of good. I argue that it's appropriate for people to pursue their profit motive in business. If you want to change that, you're going against human nature. But when it comes to setting the rules or creating the institutions, then you should have the general interest at heart, even if it conflicts with your personal interest. You know, these things interested me before I became a businessman and I kind of neglected them during twenty, twenty-five years, while I was engaged in making money, because running a hedge fund takes, you know, a hundred percent of your attention on Saturday morning, and so I didn't get involved in these issues very much. It's only when I was rather successful at it and I've made enough money for my personal needs and to look after my family that we established this interest and, by now, it is more important to me than my business. I did spearhead the introduction of the Internet in countries like Russia, the former Soviet Union, because it is a very open system of communication. I think it has great potential for self-organization and self-organization is very much at the heart of an open society. The Internet is sort of a medium of open society. However, it can also be a medium of control and so we have to be careful it doesn't destroy you. I think you will have to be very, very careful to have the regulations that will protect freedom. I learned at a very early age that what kind of social system or political system prevails is very important. Not just for your well-being, but for your very survival. The Republican Party has been captured by a bunch of extremists … People who maintain that markets will take care of everything, that you leave it to the markets and the markets know best. Therefore, you need no government, no interference with business. Let everybody pursue his own interests. And that will serve the common interest. Now, there is a good foundation for this. But it's a half-truth. We need to maintain law and order. We need to maintain peace in the world. We need to protect the environment. We need to have some degree of social justice, equality of opportunity. The markets are not designed to take care of those needs. That's a political process. And the market fundamentalists have managed to reduce providing those public goods. I give away something up to $500 million a year throughout the world promoting Open Society. My foundations support people in the country who care about an open society. It's their work that I'm supporting. So it's not me doing it. But I can empower them. I can support them, and I can help them. You know, I learned at a very early age that what kind of social system or political system prevails is very important. Not just for your well-being, but for your very survival. Because, you know, I could have been killed by the Nazis. I could have wasted my life under the Communists. So, that's what led me to this idea of an open society. And that is the idea that is motivating me. We are the dominant power. And that imposes on us a responsibility to be actually concerned with the well being of the world. Because we set the agenda. And there are a lot of problems, including terrorism and weapons of mass destruction, that can only be tackled by collective action. And we ought to be leading that collective action, instead of riding roughshod over other people's opinions and interests. I think he's a man of good intentions. I don't doubt it. But I think he's leading us in the wrong direction. If we re-elect Bush, we are endorsing the Bush doctrine. And then we are off to a vicious circle of escalating violence in the world. And I think, you know, terrorism, counter-terrorism, it's a very scary spectacle to me. If we reject him, then we are effectively rejecting the Bush doctrine. Because he was elected on a platform of a more humble foreign policy. Then we can go back to a more humble foreign policy. And treat this episode as an aberration. We have to pay a heavy price. You know, 100 billion dollars a year in Iraq. We can't get out of that. We mustn't get out of it. But still, we can then regain the confidence of the world, and our rightful place as leaders of the world, working to make the world a better place. Stock market bubbles don't grow out of thin air. They have a solid basis in reality — but reality as distorted by a misconception. ... Eventually the gap between reality and its false interpretation becomes unsustainable, and the bubble bursts. Stock market bubbles don't grow out of thin air. They have a solid basis in reality — but reality as distorted by a misconception. Under normal conditions misconceptions are self-correcting, and the markets tend toward some kind of equilibrium. Occasionally, a misconception is reinforced by a trend prevailing in reality, and that is when a boom-bust process gets under way. Eventually the gap between reality and its false interpretation becomes unsustainable, and the bubble bursts. Now look at the ideology of American supremacy. 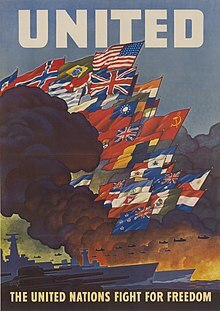 It has a solid foundation in reality; namely, the United States is the dominant power in the world. The current government believes the United States ought to use this dominant position to impose its will on the world. That is the misconception. This approach is not what made America great. America did not arrive at its dominant position by imposing its will on the world. 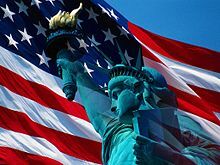 My position is that America is great precisely because it is an open society, and an open society recognizes that nobody is the ultimate arbiter — and that we may be wrong at times, even if we are powerful. We must be open to criticism and respect divergent and different views and interests. I find the idea that you can introduce democracy by military force a very quaint idea. Moreover, if I wanted to choose a testing ground for doing it, Iraq would be the last nation I would choose. Most of the poverty and misery in the world is due to bad government, lack of democracy, weak states, internal strife, and so on. We do need to intervene, to improve political and economic conditions inside countries that have bad governments, where people are suffering. One way of doing this, without violating sovereignty, is through constructive actions — reinforcements and incentives for countries that are moving in the right direction, toward an open society, a market economy, et cetera. That is what I'm advocating. I'm advocating preventive action of a constructive nature. And I would use military force only as the very last resort, when nothing else works. The invasion of Afghanistan was justified: that was where bin Laden lived and al Qaeda had its training camps. The invasion of Iraq was not similarly justified. It was President Bush's unintended gift to bin Laden. This is the most important election of my lifetime. I have never been heavily involved in partisan politics but these are not normal times. President Bush is endangering our safety, hurting our vital interests and undermining American values. That is why I am publishing this message. I have been demonized by the Bush campaign but I hope you will give me a hearing. We face a vicious circle of escalating violence. President Bush ran on the platform of a "humble" foreign policy in 2000. If we re-elect him now, we endorse the Bush doctrine of preemptive action and the invasion of Iraq, and we will have to live with the consequences. I grew up in Hungary, lived through fascism and the Holocaust, and then had a foretaste of communism. I learned at an early age how important it is what kind of government prevails. I chose America as my home because I value freedom and democracy, civil liberties and an open society. When I had made more money than I needed for myself and my family, I set up a foundation to promote the values and principles of a free and open society. We are losing the values that have made America great. 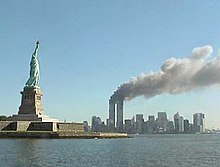 The destruction of the twin towers of the World Trade Center was such a horrendous event that it required a strong response. But the President committed a fundamental error in thinking: the fact that the terrorists are manifestly evil does not make whatever counter-actions we take automatically good. What we do to combat terrorism may also be wrong. Recognizing that we may be wrong is the foundation of an open society. President Bush inadvertently played right into the hands of bin Laden. The invasion of Afghanistan was justified: that was where bin Laden lived and al Qaeda had its training camps. The invasion of Iraq was not similarly justified. It was President Bush's unintended gift to bin Laden. War and occupation create innocent victims. We count the body bags of American soldiers; there have been more than 1000 in Iraq. 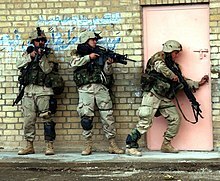 The rest of the world also looks at the Iraqis who get killed daily. There have been 15 times more. Some were trying to kill our soldiers; far too many were totally innocent, including many women and children. Every innocent death helps the terrorists' cause by stirring anger against America and bringing them potential recruits. We are the most powerful nation on earth. No external power, no terrorist organization, can defeat us. An open society is always in danger. It must constantly reaffirm its principles in order to survive. I have been crisscrossing the country for the last three weeks arguing against the reelection of President Bush. I feel strongly that he has led us in the wrong direction. The invasion of Iraq was a colossal blunder and only by rejecting the President at the polls can we hope to escape from the quagmire in which we find ourselves. The nation is deeply divided and the two camps seem to be talking past each other. John Kerry won all three debates but President Bush invokes his faith and that inspires his followers. In the end, it boils down to a philosophical difference over how to deal with an often confusing and threatening reality. President Bush has shown that he is incapable of recognizing his mistakes. He insists on making reality conform to his beliefs even at the cost of deceiving himself and deliberately deceiving the public. There is something appealing in the strength of his faith, especially in our troubled time. But the cost is too high. By putting our faith in a President who cannot admit his mistakes we commit ourselves to the wrong policies. If we reelect President Bush we are endorsing his policies and we shall have to live with the consequences. We are facing a vicious circle of escalating violence with no end in sight. If we reject him at the polls we shall have a better chance to regain the respect and support of the world and break the vicious circle. Our future depends on it. I have devoted half my fortune and most of my energies in the last 15 years to promoting the values of democracy and open society all over the world, especially in the former Soviet Empire. After 9/11 I came to feel that those principles need to be defended at home. The war on terror as defined by President Bush is a one-dimensional presentation of reality. We cannot fight terrorism by military means alone. We can use military force only when we have a known target; but it is the habit of terrorists to keep their whereabouts hidden. To track them down we need the support of the populations amongst whom they hide. Offense is not necessarily the best defense if it offends those whose allegiance we need. George W. Bush revels in being a war president. His campaign is shamelessly exploiting the fears generated by 9/11. Vice President Cheney is conjuring mushroom clouds into our cities. But fear is a bad counselor; we must resist it wherever it comes from. President Roosevelt had the right idea when he said, "We have nothing to fear but Fear itself." An open society is always in danger. It must constantly reaffirm its principles in order to survive. We are being sorely tested, first by 9/11 and then by President Bush's response. To pass the test we must face reality instead of finding solace in false certainties. This election transcends party loyalties. Our future as an open society depends on resisting the Siren's song. There is no other country that can take the place of the United States in the foreseeable future. If the United States fails to provide the right kind of leadership our civilization may destroy itself. That is the unpleasant reality that confronts us. The main obstacle to a stable and just world order is the United States. This is a harsh — indeed, for me, painful — thing to say, but unfortunately I am convinced it is true. The United States continues to set the agenda for the world in spite of its loss of influence since 9/11, and the Bush administration is setting the wrong agenda . The Bush agenda is nationalistic: it emphasizes the use of force and ignores global problems whose solution requires international cooperation. The rest of the world dances to the tune the United States is playing, and if that continues too long we are in danger of destroying our civilization. Changing the attitude and policies of the United States remains my top priority. We must recognize that as the dominant power in the world we have a special responsibility. In addition to protecting our national interests, we must take the leadership in protecting the common interests of humanity. I go into some detail as to what that entails. Mankind’s power over nature has increased cumulatively while its ability to govern itself has not kept pace. There is no other country that can take the place of the United States in the foreseeable future. If the United States fails to provide the right kind of leadership our civilization may destroy itself. That is the unpleasant reality that confronts us. The Palestine problem does not have a purely military solution. Military superiority is necessary for Israel's national security, but it is not sufficient. The Bush administration is once again in the process of committing a major policy blunder in the Middle East ... Hamas won the elections in an upset victory. Then came the blunder I am talking about. Israel, with the strong backing of the United States, refused to recognize the democratically elected Hamas government. The Palestine problem does not have a purely military solution. Military superiority is necessary for Israel's national security, but it is not sufficient. The solution has to be political, as President Clinton recognized. The pro-Israel lobby has been remarkably successful in suppressing criticism. Politicians challenge it at their peril because of the lobby's ability to influence political contributions. ... Following his criticism of repressive Israeli policy on the West Bank, former president Jimmy Carter has suffered the loss of some of the financial backers of his center. One of the myths propagated by the enemies of Israel is that there is an all-powerful Zionist conspiracy. That is a false accusation. Nevertheless, that AIPAC has been so successful in suppressing criticism has lent some credence to such false beliefs. Demolishing the wall of silence that has protected AIPAC would help lay them to rest. A debate within the Jewish community, instead of fomenting anti-Semitism, would only help diminish it. ‘The EU needs to transform itself into an association that countries like Britain would want to join, in order to strengthen the political case,’ Mr Soros said he was convinced it was the ideal time for the EU to reform itself and prepare the ground for the UK staying inside the bloc. We have a booming global economy but we don't have a global society. Markets reduce everything, including human beings and nature, to commodities. Societies need more than this to prosper — such goals as political freedom and social justice. I've learned many things from him, but perhaps the most significant is that it's not whether you're right or wrong, but how much money you make when you're right and how much you lose when you're wrong. Four hundred seventy-three million to one. Those are the odds against George Soros compiling the investment record he did as manager of the Quantum Fund from 1968 through 1993. His investment record is the most unimpeachable refutation of the random walk hypothesis ever! ... History will probably remember Mr. Soros as the speculator who tilted against the Bank of England in 1992 (and freed the English people from recession). His billion dollar score is simply too compelling a story to overlook. Mr. Soros himself would probably like to be remembered as a great economist or even scientist. But I am going to remember him for something even more important, for which he does not receive the credit he deserves. He is someone who genuinely cares about the state of the human condition and tries to better it. His myriad and monumental philanthropical efforts will qualify him as one of history's great benefactors. ... He is a hands-on workaholic who materially impacts the quality of lives of people less fortunate than he. Now this, this is a sign of greatness. Paul Tudor Jones II in his foreword to The Alchemy of Finance: Reading the Mind of the Market (1994 edition). All these countries [in East Asia] have spent 40 years trying to build up their economies and a moron like Soros comes along with a lot of money to speculate and ruin things. Mahathir bin Mohamad, Prime Minister of Malaysia, quoted in Baily, N. M., D. Farrell and S. Lund (2000), The Color of Hot Money, Foreign Affairs, 79(2), 99–109. Half the day he engages in the most ruthless financial exploitations, ruining the lives of hundreds of thousands, even millions. The other half [of the day] he just gives part of it back. Slavoj Žižek, The Reality of the Virtual. George Soros has made his mark as an enormously successful speculator, wise enough to largely withdraw when still way ahead of the game. The bulk of his enormous winnings is now devoted to encouraging transitional and emerging nations to become "open societies," open not only in the sense of freedom of commerce but — more important — tolerant of new ideas and different modes of thinking and behavior. George Soros has a long and storied track record of being all villains to all people. Nobody that rich, and that meddlesome in international affairs — through his massive, market-influencing hedge-fund bets against national currencies, or via his multi-billion dollar "Open Society" philanthropy in 50-plus countries — could avoid being fitted for devil's horns on a daily basis. ... Until very recently, you could place most of Soros' fiercest critics in categories marked "paranoid" and "anti-democratic." In 1990s Central Europe, where he and his various organizations were ubiquitous presences (at least in the cosmopolitan capital cities), reaction to Soros was a useful if crude indicator of a politician's basic orientation. ... But now, Slavic autocrats have been joined in red-faced George-bashing by two new overlapping groups: American conservatives, and hawkish friends of Israel. ... Thus we now have the spectacle of one of the world's most active and influential anti-communists (not to mention one of its most successful capitalists) being tarred as a particularly dangerous friend of Marx and Lenin.